Every day, we are exposed to anywhere between 4,000 to 10,000 ads. From the moment you wake up to the moment you go to sleep, you’re constantly bombarded with ads, opinion pieces, status updates, news stories, click-bait articles, and so much more. This influx of information has been made all the more prominent with smart phones. But why am I mentioning any of this? Because it’s important to understand the digital world we live in to better navigate it – be it for personal fulfillment, career success, or even something as seemingly “simple” as social media marketing. A delicate balancing act exists in the social media space. People don’t want just another ad and, honestly, neither do you. Even if your social media strategy is more about engagement and long-term gains rather than ads and short-term sales, how do you break through the noise? How do you, as an individual or an entire company, stand out in a time when so many people are overexposed and, to an extent, exhausted in the digital realm? This is what I will be tackling in this new 3-part blog series. • and how these two factors need to be taken into consideration when it comes to advertising. Consider this: both Apple and Google have introduced features to their mobile operating systems (iOS and Android, respectively) that allow users to track and limit the amount of time they spend on certain apps. 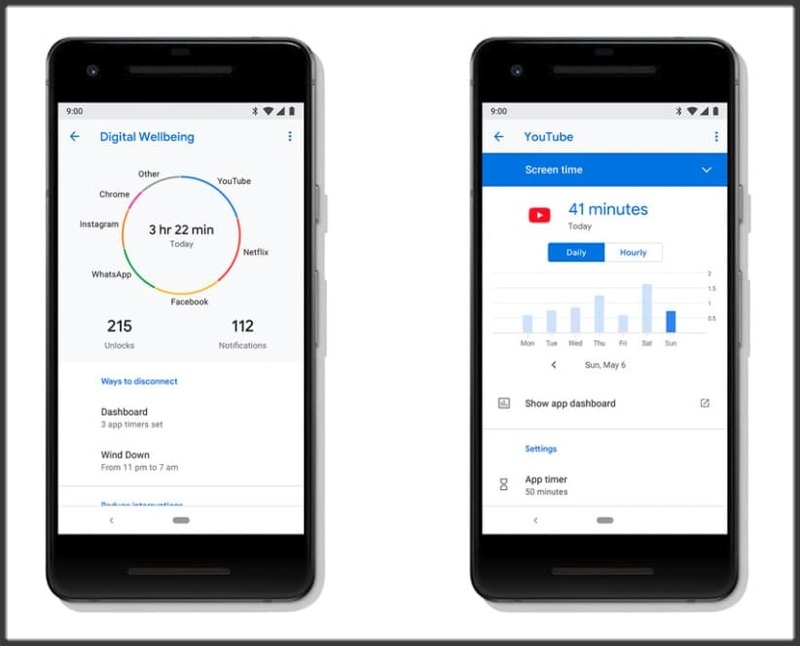 With Google’s Android Pie update, for example, a user can set individual app time limits; halt notifications to limit distractions when with friends; and enable “Wind Down” at night, which also stops notifications and turns the screen grey-scale so that the user’s mind is less stimulated by their phone. When the two biggest smart phone operating system developers are implementing features to help people use their software less, it’s indicative of a larger change in how society is engaging with their smart phones and, by extension, social media. The above isn’t a sign of substantial change coming to the digital sphere. Social media is still huge (Facebook’s user base is still a ridiculously massive 2 billion+ active monthly users), and Amazon’s most recent Prime Day Sale from this year was its biggest yet. The truth is not that social media is necessarily on a decline (not by a long shot), but rather that individuals are moderating their time more. They don’t want to waste hours scrolling through a social feed at night when they could be resting, watching their favorite show, or reading a book. When social media really exploded, it was new and enthralling. But now that these products and services are more commonplace and typical, we don’t feel as bound to them – and with that sheen slightly worn, we’re more reflective of the pros and cons they present in our daily lives. It’s just one of the many reasons why Twitter, a social network that was a massive deal in its early days, has been struggling to grow its user base by any substantial level over the last couple of years. A graph showing how Twitter’s user growth really started to slow in Q1 if 2015. How Do You Make Your Social Media Efforts Stand Out? With people being more discerning about their social media usage and the fact that they can be exposed to thousands upon thousands of ads each day, it’s important to take a moment and consider what you can do to make your social efforts stand out – be they organic or paid efforts. For now, though, let’s focus on ads. 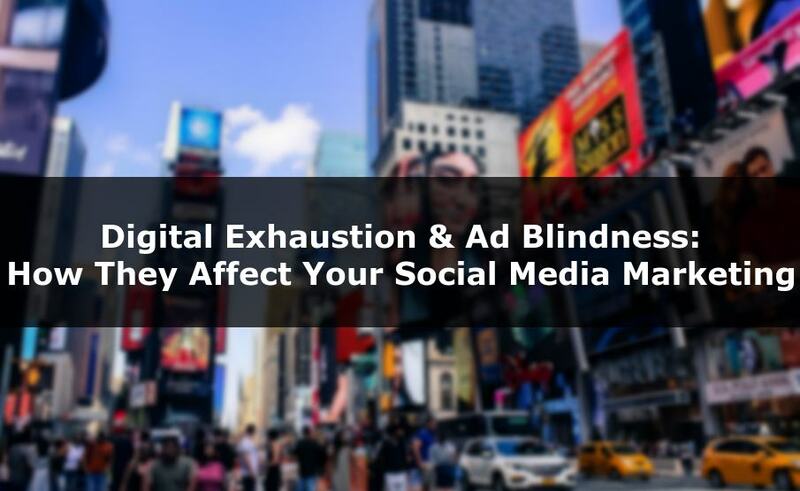 On the advertising front, with thousands of ads being thrown at someone every day, this has led to a phenomenon known as ad blindness, and it’s been documented to impact online advertising in a significant way – particularly banner ads. Whether consciously or subconsciously, a user becomes familiar with the placement of display ads on different websites and, over time, no longer notices them. The more banner and display ads there are, the more the mind ignores them. Of course, you have no control over how many ads any one social network decides to run on their site. In general, however, the less noise there is with a social media platform’s design, the better your chances may just be of having your ad noticed. Case-in-point, think of Instagram. As noted by Richard K. Yu over on Medium, there is a high level of brand engagement on the platform. Whether a post is organic or paid for, Instagram lends itself well to marketing material really standing out to the end user. One reason, outside of the platform’s massive user base and daily activity, is the simplicity of its design. There are no top, side, or bottom banner ads flashing away obnoxiously. Instead, all ads sit within the feed itself; a feed that scrolls and shows one photo, one video, one ad at a time. Ads succeed because they work within the bounds of Instagram’s effective visual-first nature. Every post is given the entire screen space it deserves. You’re not vying for someone’s attention from the fringes. When there is less chaos in a platform’s design, it allows its core content – ads included – to shine through. This exact principle can be used in blogs on your own website, as well. Embrace the white space and formatting, have large images break up your text, and throw a single call-to-action (CTA) smack-bang in the middle of the content rather than having five different CTAs fighting for attention in the one space. For those social media platforms where there is a lot of ad noise (top banners, side banners, auto-playing videos, suggested groups, etc.) the challenge is in making your ad capture someone’s attention. Think of a city where almost every single building looks the same. Though there are minor differences between each, they all share an exceedingly similar design philosophy. They must be blue and rectangular and at X height. Then, in the center of all these clones sits a building that is two times their height; its exterior is a vibrant white; and the building twists in a smooth, rounded manner. Immediately, that is the building that commands your attention above all others – it’s a breath of fresh air, a break from the monotony. Your ads need to be that building. You need to look at how your competitors advertise on social media. You need to see the common traits among them, the same-ness that makes them feel so mundane and uninteresting. And you need to look at lists of award-winning social media ads and marketing campaigns. Take inspiration from the best and avoid the repeated steps of the competitors you want to stand out against. This often requires some great visual design and a message that is less about you and more about your target audience. They don’t want to know about why you’re the best; they want to know how you can help make them the best. The message should also feel unique – offer something different. Is a product or service discount really going to cut it when your prospective customers may still not know that much about you? Be sure to consider your options and the core message you want to convey in your ads. In part 2, I place the focus on organic content on social media. 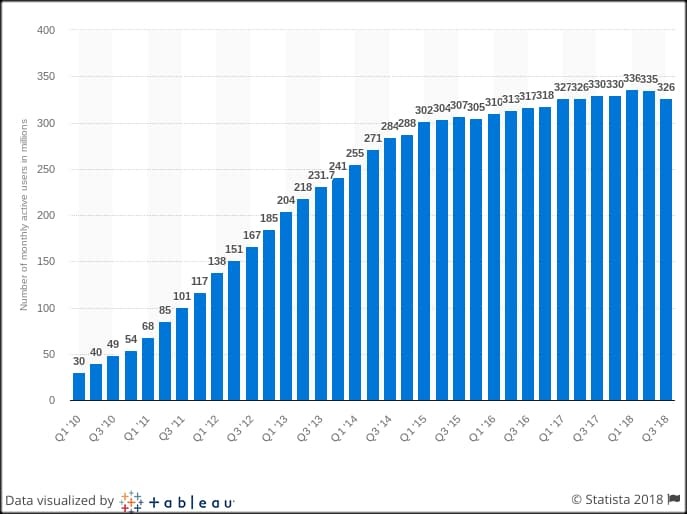 Over the past few years, there has been a very clear drop in the reach of organic content on social networks, particularly on Facebook. So, the question is: what can you do to achieve better organic reach? Be sure to check back here over the next couple of weeks for part 2. UPDATE: Part 2 is now live, and you can view it by clicking here. Until then, if you’d like to learn more about how we can help you heightened your social media marketing and advertising through the utilization of travel incentives, don’t hesitate to fill out the form at the bottom of this page. 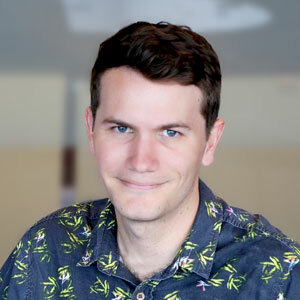 David Murton is the Senior Editor for Odenza’s blog, where we share stories and insights about travel incentives, marketing solutions, client success stories, and the latest developments within our company. Odenza has delivered 3420 promotions in the last 3 years with 1140 clients in 43 industries throughout North America. Odenza is a three-time recipient of Carnival Cruise Lines' "Pinnacle Club" award for sales excellence and a member of Funjet Vacations "500 Club" of travel agencies. Odenza was recognized for providing superior customer service, demonstrating expertise in Funjet vacation destinations and ensuring that customers receive the best vacation value available.